Barnes & Noble has announced two new tablets in its latest Nook lineup, led by a larger 9-inch model that will compete more directly with Apple's iPad, as well as the new 8.9-inch Kindle Fire HD. 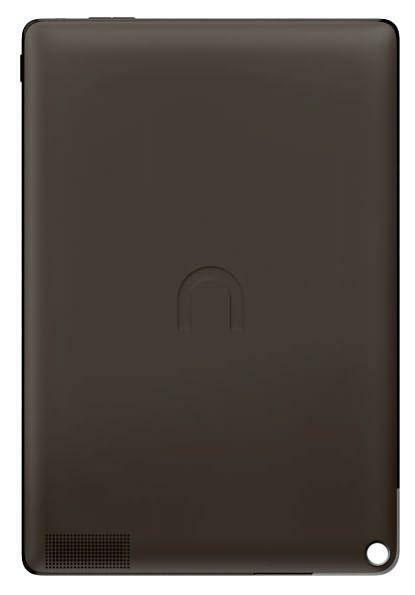 The newly unveiled 9-inch Nook HD+ will be priced at $269 for a 16-gigabyte model, while a larger 32-gigabyte capacity will be $299. Customers can preorder starting Wednesday and the devices will ship in late October. The Nook HD+ has a 1,920-by-1,280-pixel display that packs in 256 pixels per inch. It is laminated to reduce glare and improve viewing angles. It also has a 1.5-gigahertz dual-core processor with a gigabyte of RAM. In its press release, Barnes & Noble took a shot at Apple's iPad with Retina display, stating that the Nook HD+ "rivals the 'resolutionary' screen of the leading high-resolution large-format tablet." The bookseller also boasted that its new device is 20 percent lighter than the iPad and nearly half the price of the entry-level third-generation iPad. 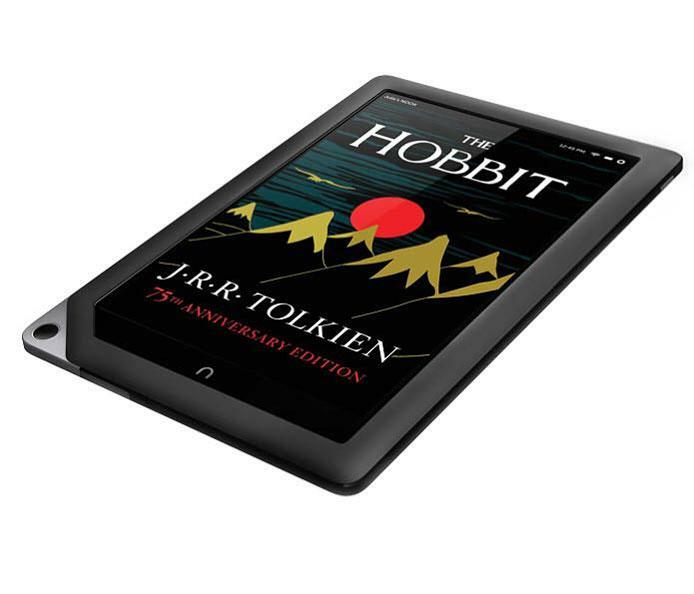 "With the combination of the highest resolution screen, lightest weight and expansive access to content rendered in a digital quality never before seen, Nook HD is the world's best 7-inch media tablet," said William J. Lynch, Chief Executive Officer of Barnes & Noble. "We designed our larger format tablet Nook HD+ because we think theres big demand from customers for a super-light, extremely high quality 9-inch tablet, at half the price of the iPad. Both our 7-inch NOOK HD and 9-inch NOOK HD+ deliver an exceptional customer experience and we enthusiastically encourage customers to go to nook.com and learn more about them." In addition to Apple's iPad, the Nook HD+ will also compete with the 8.9-inch Amazon Kindle Fire HD. That forthcoming tablet will feature a 1,920-by-1,200-pixel display packed into a screen slightly smaller than the 9.7-inch Retina display on Apple's iPad. The 8.9-inch Kindle Fire HD starts at $299 for the 16-gigabyte model, while the 32-gigabyte version is $369. Barnes & Noble will also launch a new 7-inch Nook HD in October. That device will have a screen resolution of 1,440 by 900 pixels, which amounts to 243 pixels per inch. The smaller Nook will run a 1.3-gigahertz processor and weighs 11.1 ounces. 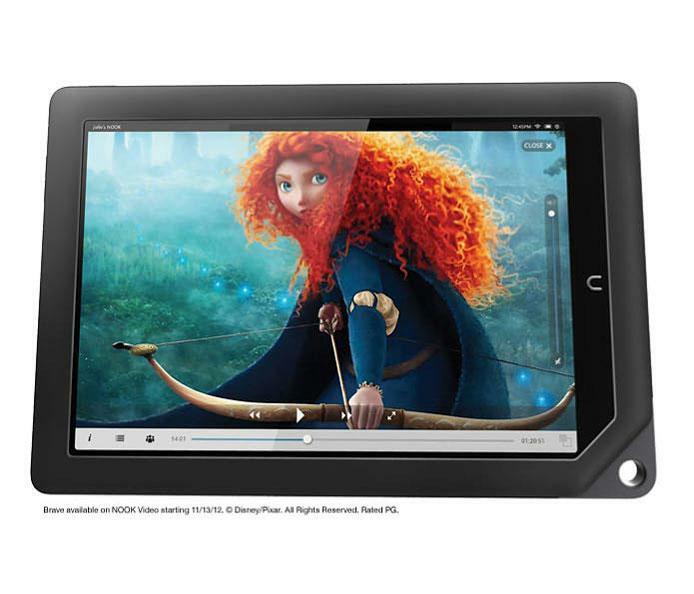 The 7-inch Nook HD is priced at $199 for the 8-gigabyte model, and $229 for a 16-gigabyte version. Both are expandable with microSD cards. In the 7-inch market, Amazon just launched a smaller Kindle Fire HD earlier this month for $199 with 16 gigabytes of storage. An entry-level Kindle Fire model with 8 gigabytes of storage is priced at $159. Barnes & Noble and Amazon are increasing their options in the tablet market as Apple is expected to expand its own iPad lineup in the next month with the debut of a new, smaller iPad. The so-called "iPad mini" is rumored to feature a 7.85-inch display.